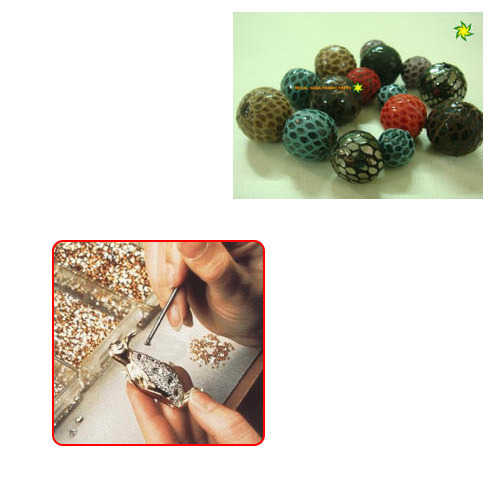 We are manufacturer and supplier of Leather Beads for Jewellery Making. Our offered range is crafted in line with international quality standards using premium quality leather. We are mainly interested in the queries from United Kingdom, Germany, South Korea and USA. Incepted in the year 2007, our company, Regal India Handicrafts is widely known today as a professionally managed Manufacturer, Exporter, Wholesalers and Supplier of a wide gamut of Leather Cords. Our product range includes Stitched Leather Cords, Reptile Stitched Leather Cords, Round Stitched Nappa Leather Cord, Antique Braided Leather Cords, Metallic Braided Leather Cords, Braided Leather Cord, Braided Cords with Natural Edges, Round Leather Cords, Round Leather Strings, Round Metallic Leather Cord, Flat Leather Cords, Suede Leather Cords and Nylon Braided Leather Cords. These products are available in different sizes, shapes and colors. The cords are made from best quality raw materials and are widely known for their strength and long life. We are a client-oriented firm known for ensuring timely delivery of products in a highly professional way. Our team of professionals has been working day and night to ensure that world-class quality is only produced. That is why, today, customers all around the world appreciate us and our products. To meet the complete satisfaction of our esteemed clients, we offer the whole range in various customized options as per the varied requirements of our clients. Our company has amassed great praise for our advanced manufacturing facility and a team of dedicated experts in this domain. We export our products in all over the world.